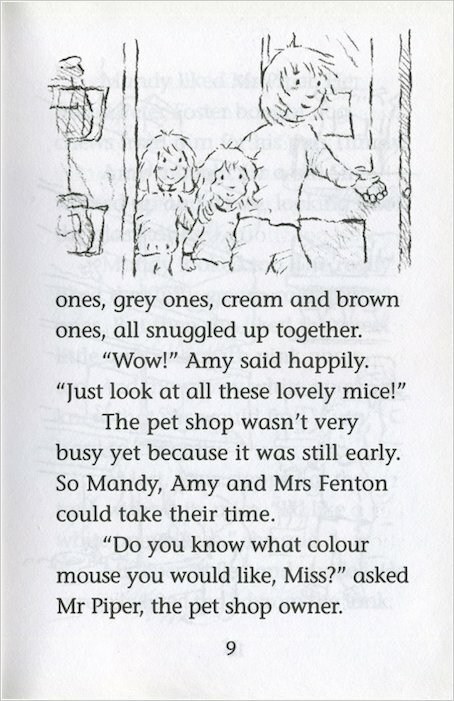 Mandy is helping Amy to choose just the right mouse to be her pet. 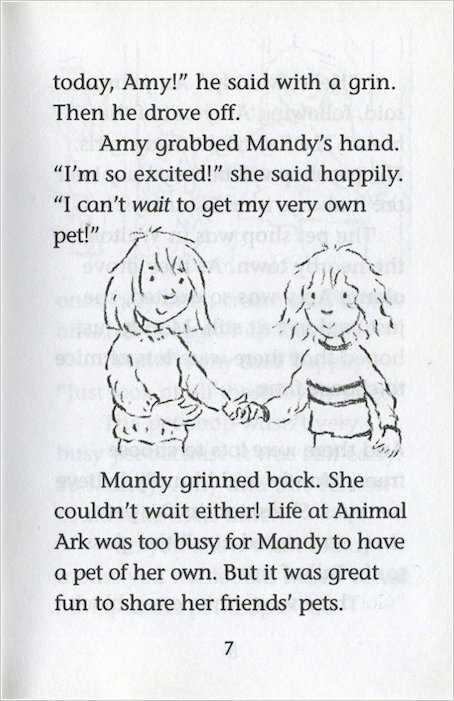 And Amy wants to choose just the right name, too! 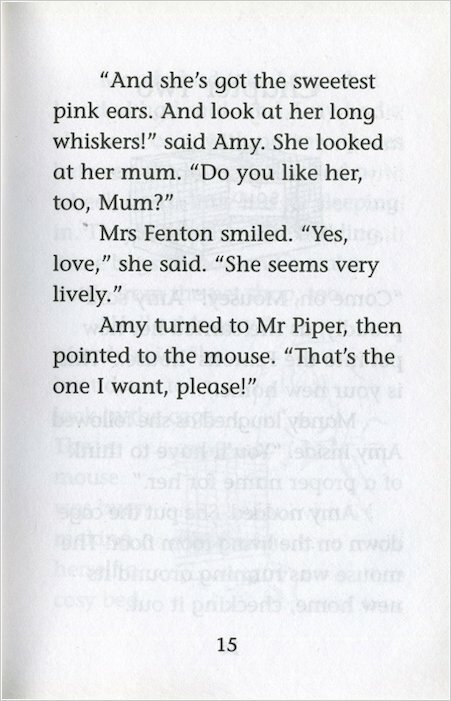 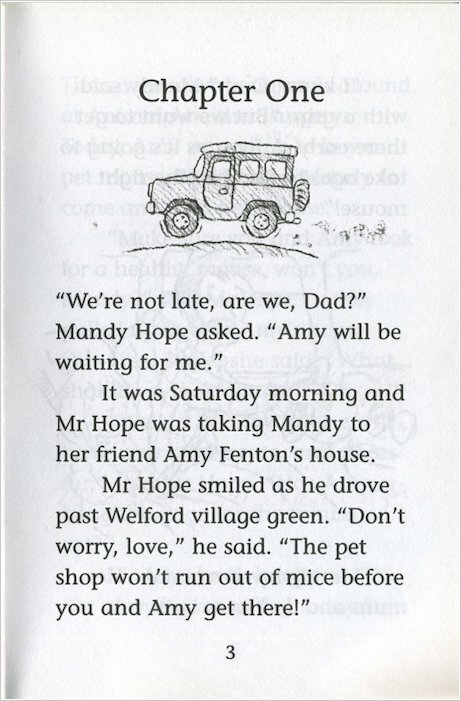 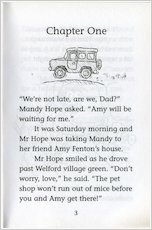 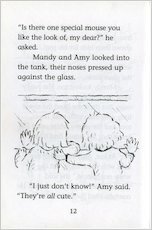 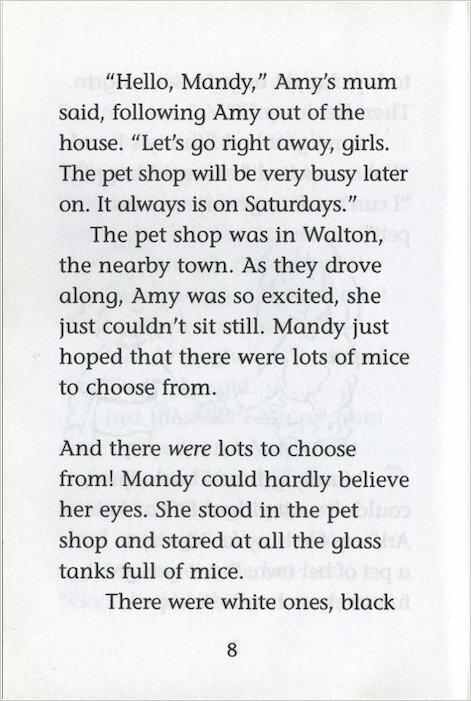 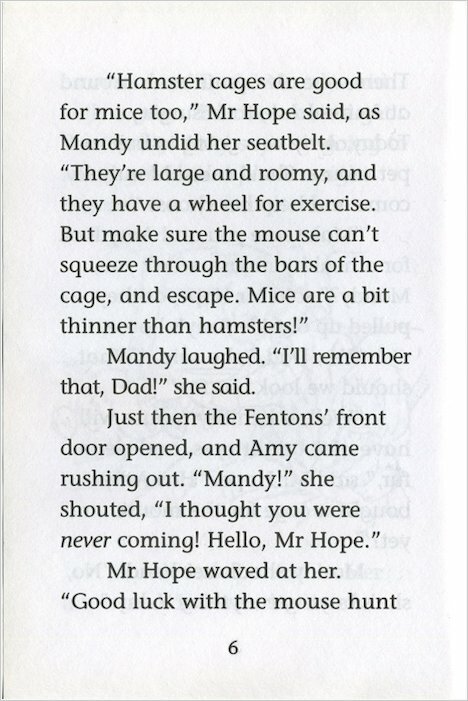 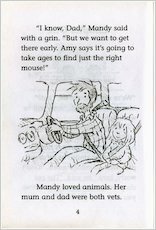 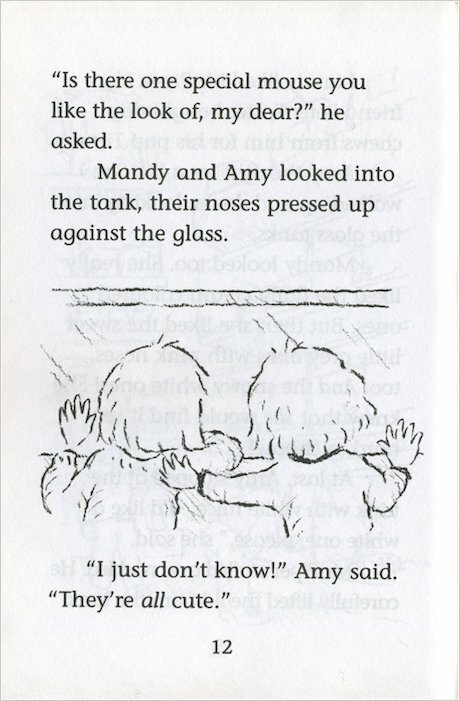 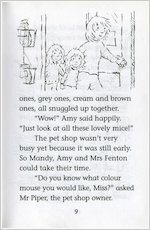 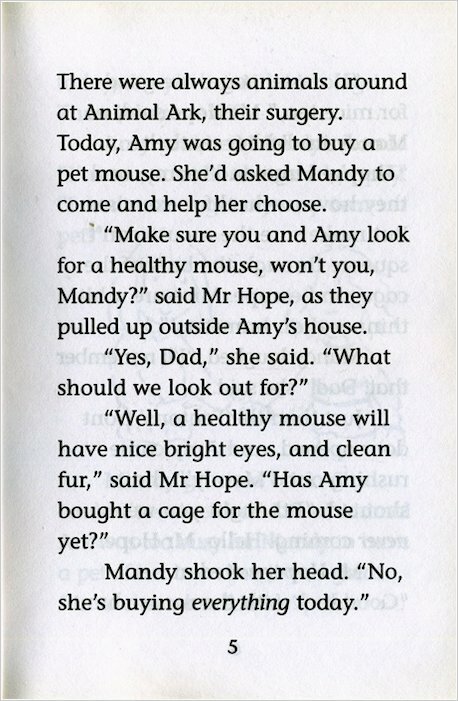 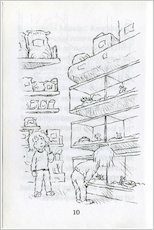 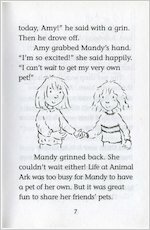 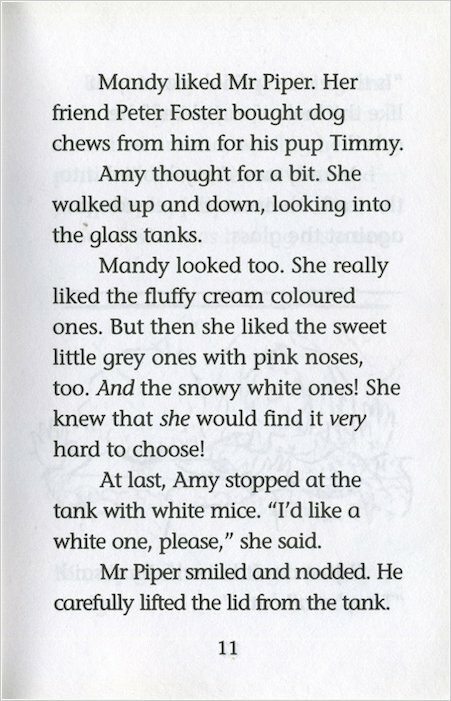 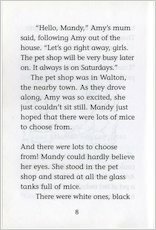 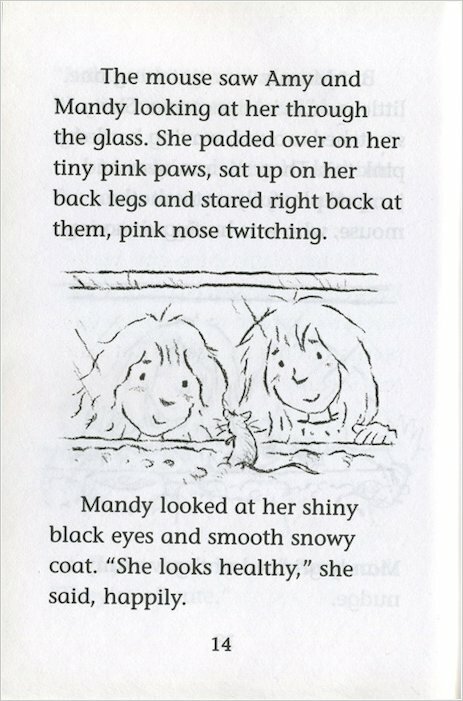 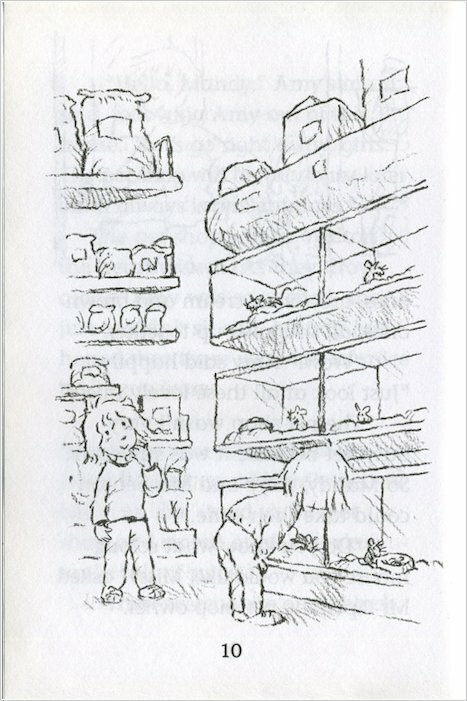 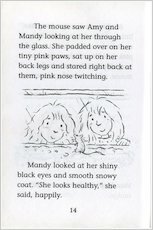 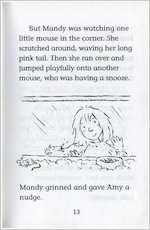 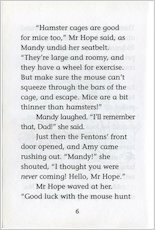 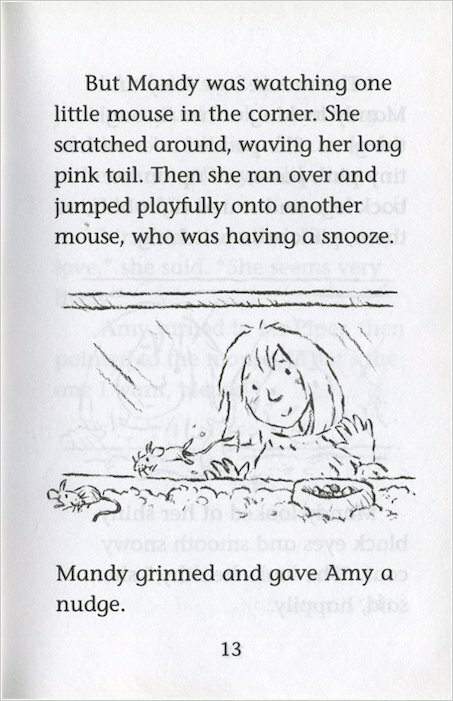 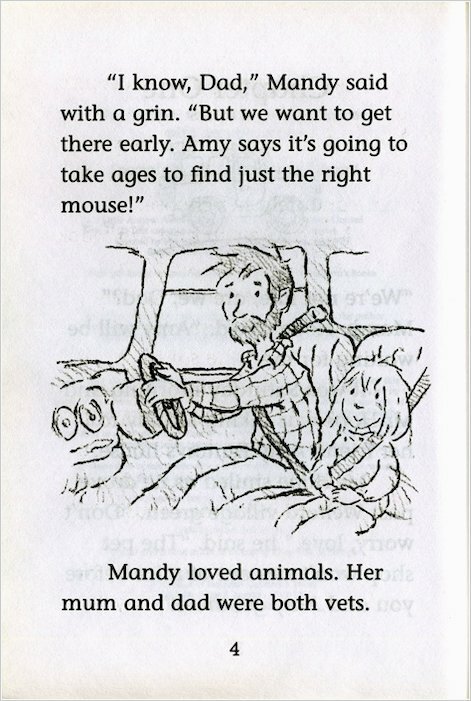 But no name seems right for this mouse – until late one night the girls hear a strange noise in Mandy’s room… A short novel for little animal-lovers, with simplified text to suit developing readers. 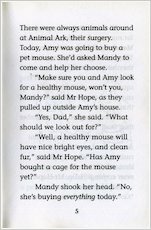 I would recomend this book for people who enjoy reading fiction books about animals it is not an adventure story but the mouse is quite annoying at the start when the two friends got him and they could not think of a name for him but in the end one of the two girls get a name and it is a quite happy ending.It also follows the origanal story mountain. 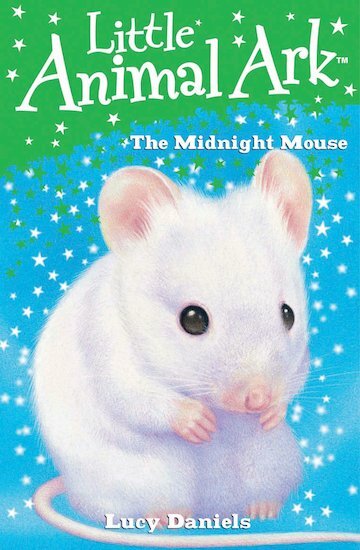 this is a really interesting book and quite funny too although i am 14 i still loved reading this book even though it was an easy read i still enjoyed it.